Thomas spoke Friday on an Irish sports talk show and said his NFL future remains unclear. 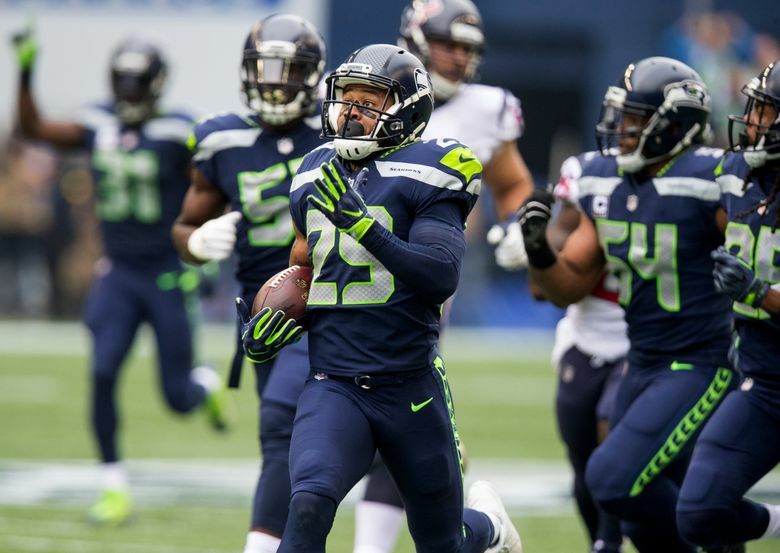 While the free agent signing period may be beginning to wane, one of the biggest questions facing the Seahawks this offseason — the future of free safety Earl Thomas — remains unanswered. Confirming as much on Friday was Thomas himself during an appearance on Off The Ball, an Ireland sports talk show. Thomas is in the country on an NFL-sponsored tour promoting the sport of football, and during an interview with host Ger Gilroy said he has no idea if he will be back in Seattle in 2018. The Seahawks are known to have engaged in trade talks about Thomas with other teams, due in large part to the fact that Thomas is entering the final year of his contract and Thomas has threatened to hold out if he doesn’t get a long-term deal before the start of the 2018 season. While Thomas said he hopes to stay in Seattle he also said he’ll embrace moving on if he is traded. “In my case, whether I’m in Seattle or anywhere else, I’m going to be rich and happy regardless,” said Thomas (the talk about Thomas’ future begins at about the 19-minute mark). Thomas, who has made six Pro Bowls in eight seasons with Seattle, is likely to want more than the $10 million per year average he is making on his current contract — a four-year deal signed in the spring of 2014 — and the Seahawks have already shown they are willing to move on from high-priced aging veterans. The Seahawks are thought to want at least a first-round pick — or what could be viewed as the equivalent — for Thomas. And Seattle is likely to keep talking to teams up until the draft April 26-28 unless something is resolved more quickly. But one player he knows won’t be is cornerback Richard Sherman, released earlier this month before then signing with the 49ers. Thomas says he and his family will attend Sherman’s wedding in the Dominican Republic later this month. “You can’t throw away all the great times that we had,” Thomas said. As for whether he will have more in Seattle, that remains to be seen.